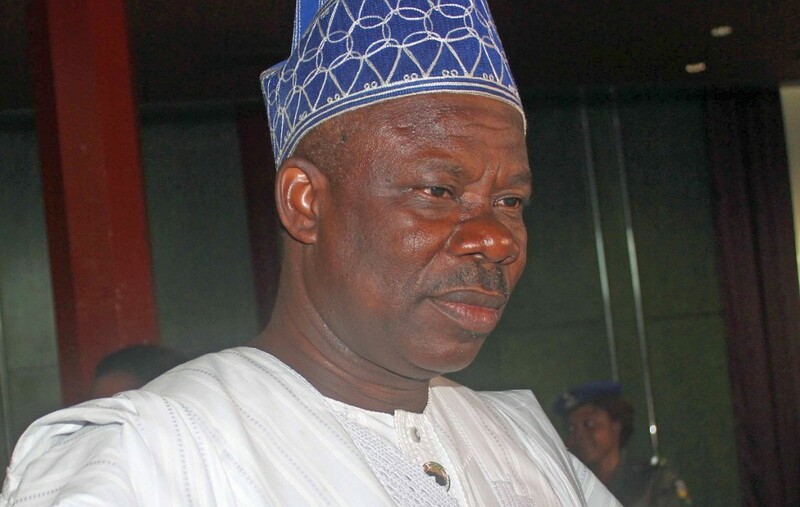 Ogun State Governor, Senator Ibikunle Amosun has presented a budget of N200.27bn for the 2016 fiscal year. Presenting the budget titled “Budget of Optimisation” to the State House of Assembly today, Governor Amosun noted that the budget was slightly reduced by 4.79% when compared with the 2015 budget. The budget with major funding expected from Internally Generated Revenue ofN108,000,000,000bn representing (53.93%), federation Account N42,000,000,000bn (20.97%), external loans N40,274,453,352bn (20.11%) and Grants of N10,000,000,000bn (4.99%). The budget allocated a sum of N99.29bn to Capital expenditure, while N100.98bn was allocated to Recurrent expenditure. It also accorded priority attention to the five cardinal programmes of the Government with Education taking a share of N40, 170, 805.280bn (20.06%), Efficient Healthcare Delivery, N14,346,259,000bn while Agricultural Production and Industrialisation is to gulp a sum ofN10,167,958,000bn. Others are Affordable Housing and Urban Renewal with N26, 567,290,663bn and Rural and Infrastructural Development/Employment Generation, N31,048,600,000bn. According to the Governor, the Education Sector will among other things witness the provision of basic infrastructural facilities, rehabilitation of dilapidated structures and building of new ones in addition to training and development of teachers, adding that the payment of the West Africa Senior School Certificate Examination (WASSCE) fee would continue to be the responsibility of Government. On health Sector, Senator Amosun emphasised that at least two Primary Health Care Facilities would be renovated and equipped in each Local Government, assuring that the Community Based Health Insurance Scheme ‘Araya’ would be activated in the remaining thirteen Local Government Areas among many other projections in the sector. The Agricultural Sector in the next fiscal Year is expected to witness acquisition of additional 10,000 acres of Agricultural land for allocation to genuine investors to promote commercial farming in the State. The Government would also endeavour to accomplish the design of Abeokuta City Centre, construction of MITROS city in Abeokuta, Sagamu and Isheri not leaving out the execution of the proposed development of ten hectares of land at Kemta, off Ajebo road through Public Private Partnership. Senator Amosun reassured that all ongoing projects have been taken care of by the medium term plan and would be completed within the tenure of his administration, noting that the light rail project connecting major towns in the three senatorial districts would be vigorously pursued. While acknowledging that the outgoing year had been challenging, following the sharp reduction in global commodity prices especially the price of oil, the Governor noted that decisive and pragmatic steps would be taken to actualize the budget. “We shall continue to demonstrate prudence whilst also exhibiting financial resourcefulness to ensure that the ongoing projects across the State are completed, fundamentally, we must intensify effort to deliver on our Internally Generated Revenue target in a manner that does not overburden or inconvenience our people whilst being supportive to our collective goals”, Amosun said. The Speaker, Rt. Hon. Suraju Adekunbi in his welcome address said the Executive Arm of Government is working hard to change the face of the State for better, adding that the legislature had been able to conduct a peaceful legislative business without rancour and disharmony. He also commended the civil servants for their loyalty and commitment to the success and achievements of the present administration.